Be the first to share your favorite memory, photo or story of Sharyn. This memorial page is dedicated for family, friends and future generations to celebrate the life of their loved one. 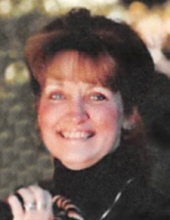 Sharyn L. Wetmore Burkle, age 70, of Hamden, passed away on April 9, 2019. Born in New Haven on April 27, 1948, she was the daughter of the late Edward and Lorayn (Peet) Hooghkirk. Sharon was predeceased by her husbands, Duane K. Wetmore and Richard Burkle. She is survived by her daughters, Sharyl (Friend) Pavlisko and her husband Joseph of Meriden and Tammy (Friend) Vertucci of Wallingford; grandchildren Taryn Pavlisko, Nicholette, Joey, and Mario Vertucci; her dearest cousin Linda Vanacore and her husband Ronald of Hamden; best friends Beth and John Battick; aunt Charlotte Peet; nieces and nephews Ronald (Alisa) Vanacore, Michael (Jessica) Vanacore, Logan, Tyler, and Dylan Vanacore, and Kim and George Peet. A resident of Hamden all her life, Sharyn was employed by the Town of Hamden as a clerk in the Tax Department for years, and later worked at the Margaret L. Keefe Center. Sharyn was a longtime member, along with her husband Duane, of the Hamden Grange, and she also was a Justice of the Peace and a Notary Public. Most of all, Sharyn was known for her love of her horses over the years. Sharyn's funeral will be private. Arrangements were in care of Beecher & Bennett Funeral Home, 2300 Whitney Ave, Hamden. Contributions in Sharyn's memory may be made to CT Draft Horse, 113 Chestnut Hill Rd., East Hampton, CT 06424 or to Wounded Warrior Project, 4899 Bedford Rd. Suite 300, Jacksonville, FL 32256. To send flowers or a remembrance gift to the family of Sharyn L. Wetmore Burkle, please visit our Tribute Store. "Email Address" would like to share the life celebration of Sharyn L. Wetmore Burkle. Click on the "link" to go to share a favorite memory or leave a condolence message for the family.